When a long holiday weekend approaches, I’m always looking for easy lunch and dinner recipes since we end up spending most of our time out of the house, leaving little time for full-on meal making. 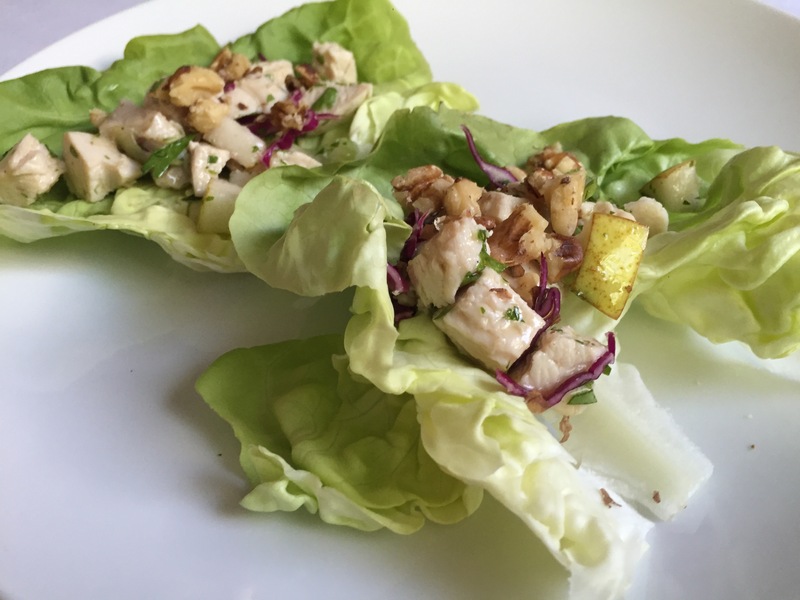 I’ve been reading through Eating in the Middle and flagged these Waldorf Salad Lettuce Cups. The recipe calls for chicken, though, after making them last night, I think a great Vegan option would be using chopped walnuts and halved grapes instead. If you’re Vegetarian, just add Gorgonzola cheese too (what the original recipe calls for). This recipe requires some prep time to chop the veggies and mix the dressing, but it’s total about 30 minutes. Also, since the recipe calls for chilling the salad mix before serving, this is a great make-ahead meal, especially during the week – just assemble and enjoy. In a large bowl, whisk together the olive oil, apple cider vinegar, honey, salt and pepper. Add chicken, celery, parsley, pears and red cabbage to the bowl with dressing. Stir to combine. Cover the bowl and refrigerate for at least 30 minutes. Portion out mixture evenly into lettuce leaves and enjoy! I’ve been trying to cook more fish lately and since I’m pretty particular how I like to eat it, I figured no better time to experiment with new recipes. 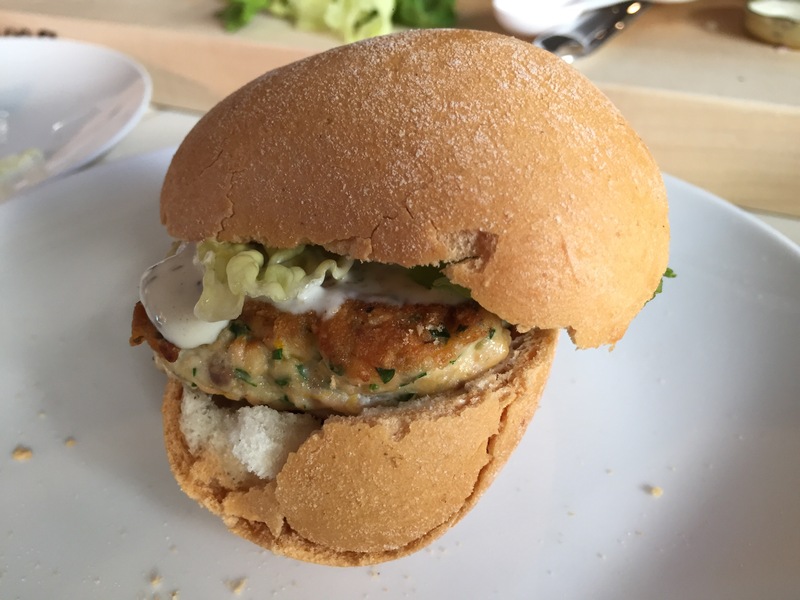 I made these salmon burgers from Giada’s latest cookbook. While many of the recipes in the book don’t appeal to me, this one seemed so easy, I figured might as well try. Overall, it was easy to make and tasted delicious. I accidentally dropped some egg yolk in (recipe only calls for egg whites) but it still turned out great. I made small burgers, so the recipe yielded 8 instead of 4. As an added bonus, it tasted great the next day too. We used dinner rolls for buns, which was the perfect size. We also drizzled a little pareve (non-dairy) ranch dressing on top. We will definitely make these again! 2. Once combined, form mix into 8 small parties. 3. Heat a medium saute pan on medium-high heat and add olive oil. 4. Carefully place burgers in pan and cook for a few minutes on each side, until firm to the touch. 5. Enjoy with a bun or dinner roll. Add about 1-2 tsp of pareve ranch dressing to garnish. I’ve recently been looking for new cookbooks and came across The Ranch at Live Oak cookbook. The recipes are totally my style. My list of “to try” recipes is quite long, so I figured I’d start with a salad dressing. This balsamic did not disappoint. Not only was it easy, I had (mostly) all the ingredients in my house. Instead of fresh orange juice, I used juice from a Sumo Tangerine – it’s what I had. (Suprisingly, one tangerine had just enough juice). Oh yah, and taste? It’s really light but still very flavorful. 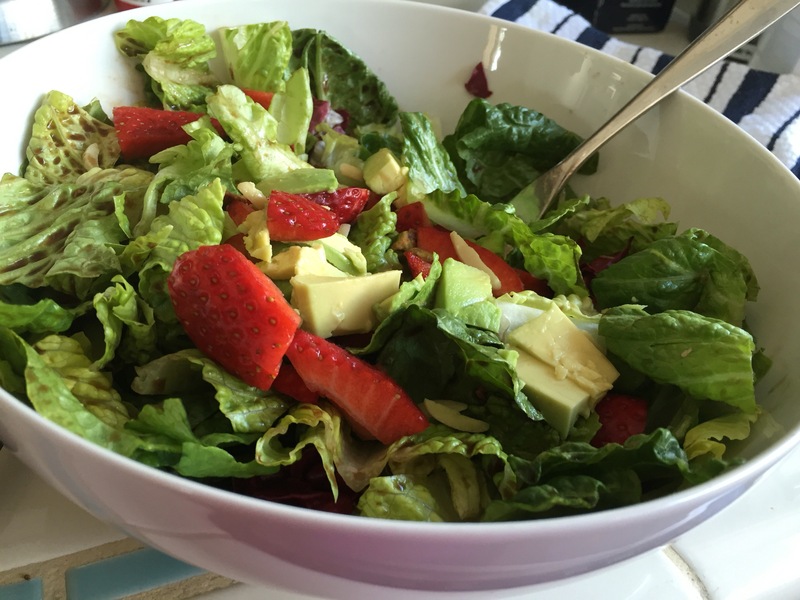 I used 2 tbsp on a big salad and I think 1 tbsp is good for a dinner salad. Combine all ingredients together in a bowl (I like to use a big measuring cup) and whisk together with a fork.